Darkside Studio Arts Dirtbike RC ATV Snowmobile Wraps - Darkside Studio Arts LLC. 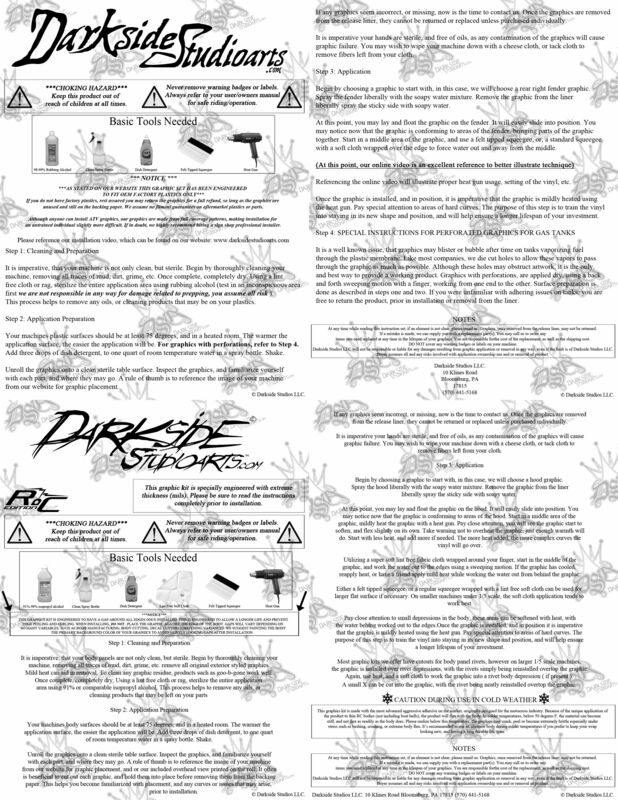 Buy Darkside Studio Arts Graphics wraps and decals for ATV's Dirtbikes Snowmobiles and RC cars. Free domestic shipping and low rate world-wide shipping available.